London Stansted is London’s third-busiest airport, currently serving around 18 million passengers a year. Many leading low-cost scheduled airlines have made Stansted their base. 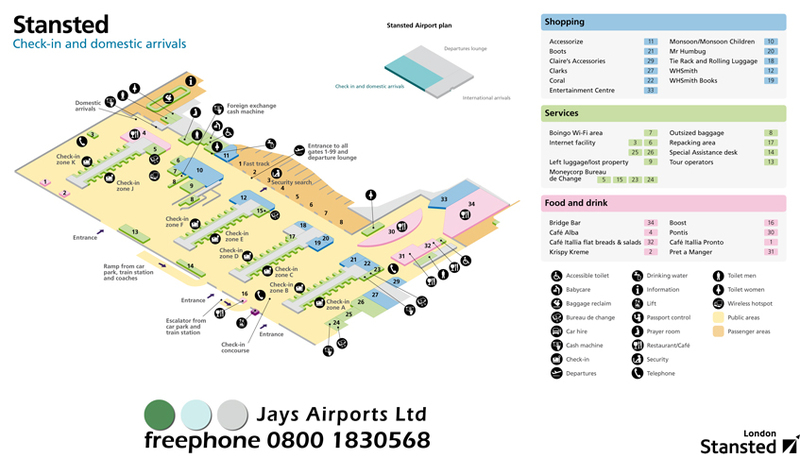 New Terminal layout map available below (May 2012). The maps provided below have been sourced from the airports themselves. Click on them to download the complete “pdf “files. Adobe Reader may be needed to view and print these maps, and is available here.